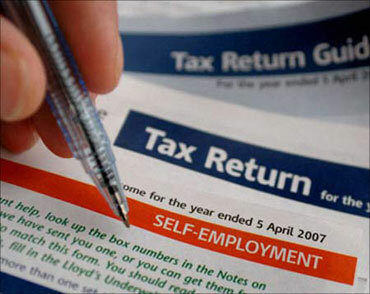 Rediff.com » Business » Filing tax returns? Keep this in mind! Filing tax returns? Keep this in mind! Filing tax returns is an annual mandate that tax payers have to comply with, the last date for which is in sight: July 31, 2010. In your haste to meet the deadline, make sure you do not miss key elements that could cause trouble later. No income tax return will be accepted without the PAN (Permanent Account Number) and incorrect PAN can result in a fine being levied. Communication address should be correctly stated as all notices or other communication from the IT department will be sent to the provided address. Also make sure that the MICR code is correct if you want an electronic refund and also ensure that bank account details are correctly stated for hassle free refunds. The IT department has done away with enclosing documents while filing returns, i.e. proof of tax, statement showing computation of taxable income, etc. Not having to produce it at the time of filing returns doesn't meet that you can put away the documents carelessly. In case of scrutiny, the tax authorities may need supporting documents for verifying the claims made in the return. 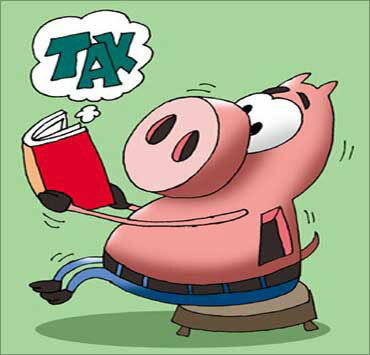 Income such as dividends from mutual funds and long-term capital gains on listed securities, are exempt from tax. Even though the tax laws do not require you to pay tax on the same, the law requires you to report these in your tax return. 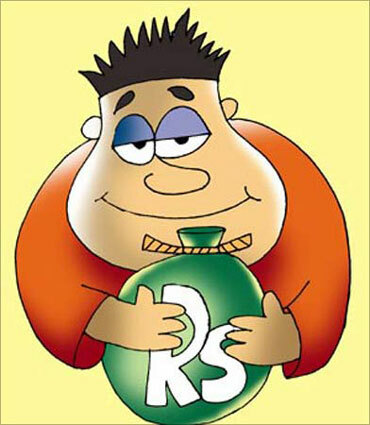 Mutual fund investment in excess of Rs 2 lakh (Rs 200,000). Credit card payment in excess of Rs 2 lakh. Bond investment in excess of Rs. 5 lakh (Rs 500,000). Property bought or sold in excess of Rs. 30 lakhs 3 million). Employers deduct TDS (tax deducted at source) from the employee's salary. While computing the TDS, employers generally provide the basic exemption deduction to the employee. If at the time of changing the job, the employee has not informed the new employer, it could lead to a situation where the TDS cut by the new employee would be low, as he may be taking in to consideration the full deduction amount while calculating tax. 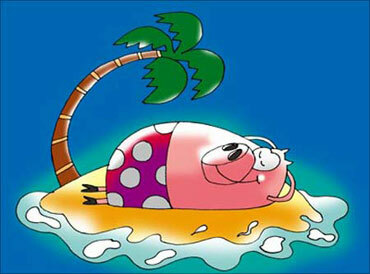 Thus you may have tax liability at the time of filing returns. Not disclosing income from the previous employer may result in an income tax notice as it will be spotted when the TDS data is being reconciled. If the IT return has been filed before the due date, i.e. July 31, tax payers are entitled to submit a revised return in case of any error or omission therein. However, revision is not permitted if the return is filed beyond the due date. Precautions taken at the time of filing returns will prevent hassles later. To make sure you file your returns before the July 31, start the process now: procrastination is the thief of time! 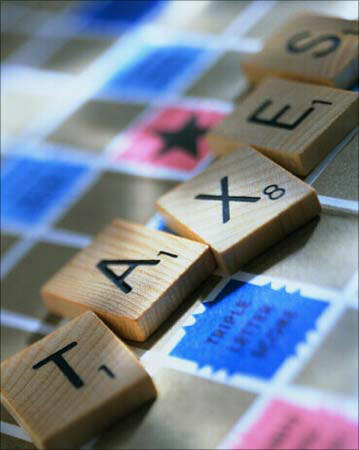 The process of filing tax returns is underway for most individuals as the last day is fast approaching. The focus for individuals is to collect all the relevant documents such as the Form 16, TDS certificates and other information which is essential to complete filing of tax returns. However, an important/critical portion of the Income tax return document which is the information to be provided called the 'Annual Information Return' (AIR) is given little importance and at times overlooked too. The income tax authority requires you to report certain transactions which exceed a particular threshold during the financial year. It is only for reporting purposes. Cash deposits aggregating to Rs 10 lakh or more in a year in any savings account by you. Credit card bill payments aggregating to Rs 2 lakh or more in a year. Purchase of mutual fund units in any mutual fund scheme aggregating to Rs 2 lakh or more. Payments made for acquiring bonds or debentures issued by a company or institution aggregating to Rs 5 lakh or more. An investment aggregating to Rs 1 lakh (Rs 100,000) or more for acquiring shares issued by any single company. Purchase/sale of immovable property valued at Rs 30 lakh or more. This information that the income tax authorities are seeking from you is already available with them as your bank, credit card issuer, depository participant and mutual fund company would have already provided all details of your transactions. If your return is picked for scrutiny and the disclosure is not been made, then a penalty will be levied on you. In addition to this, exempt income is another category of reporting which individuals tend to ignore. The logic being, if not tax needs to be paid on the same, then what purpose does it serve declaring exempt income. While the IT department may not require you to pay tax, they need you to report your exempt income. Not reporting does not mean that the IT department will not be aware of the exempt income, by virtue of all entities/financial institutions reporting the transactions to the IT department, each and every transactions pertaining to you can be mapped. Hence, it is best to report it in order not to attract the attention of the IT department. Exempt income includes dividend income (shares, mutual fund companies), long term capital gains on which securities transactions tax has been paid and income from agriculture not exceeding Rs 5,000 among other things. For the purpose of reporting, both the AIR and exempt income, you need to have all the documents in place such as bank statements, mutual fund statements etc among other things. So make sure you have these documents handy so that you can complete the process of filing returns with ease. Make sure you complete the return form in every respect so that you do not attract the attention of the IT officer. Who wants their account to be picked for scrutiny? It entails mental stress coupled with paperwork -- ensuring all supporting documents are in place.